We’re excited to announce some talented additions to this year’s Artists of the Limberlost tour, August 18 & 19. We have 3 new guest artists, and one previous guest who is returning after a few years off. 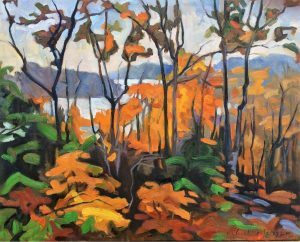 Elizabeth Johnson from nearby Dorset paints the Muskoka landscape in oils, acrylics and watercolour. Her style is loose and energetic, her colours, rich and vibrant. 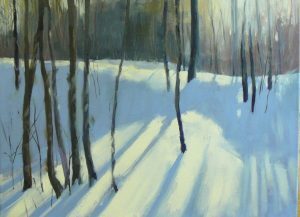 While primarily a landscape painter, Elizabeth loves to depict the human figure snowshoeing, hiking, or canoeing in the Canadian landscape. Meet her at the studio of Jerry Friedman. Also at Jerry’s studio you’ll find the unique creations of twig weaver Nathan Sowrey. 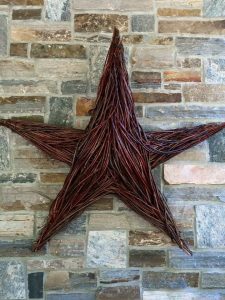 Nathan’s work with natural materials ranges from custom site-specific sculptures that meld with nature to décor you can hang on your door or wall. 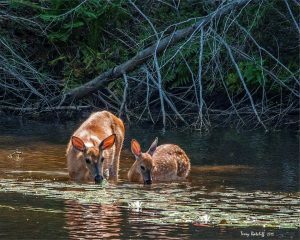 Terry Ratcliff is an accomplished wildlife photographer. Some of his images are traditional photographs, while others are manipulated to appear to be paintings. You can meet him at Don Spring’s studio and learn more about his work. Finally, regular visitors to our tour will likely remember Jamie McGill, who returns to Brian Markham’s studio this year. Jamie is primarily a landscape painter working in watercolour and oils. Most of his paintings begin as plein air sketches, which provide the basis for larger works completed in his West Toronto studio. Meet these talented folks along with 16 others during the 2018 Artists of the Limberlost Open Studio Weekend, August 18 & 19.